Dr. Ruili Wang is Professor of Information Technology and Artificial Intelligence, Chair of Research, Institute of Natural and Mathematical Sciences, Massey University (Albany Campus), New Zealand. 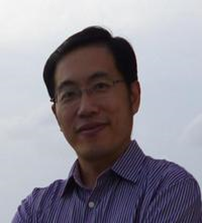 He is an Associated Editor or Member of Editorial Boards of several journals, such as Knowledge and Information Systems (Springer), Health Information Science and Systems (Springer), Applied Soft Computing (Elsevier), and Complex and Intelligent Systems (Springer). His research interests include Speech Processing (e.g., Maori Speech Recognition, Speech Emotion), , Image Processing and Big data.